The Worthing College Men’s Football Academy AoC XI were looking to build upon the professional performance of the previous week. This week they were taking on Merrist Wood, who were currently residing at the top of the AoC Category 2 League. Joel Parsons, Max Baker & Alex Webber came into the back line and Ollie Perrin made a welcome return in midfield. 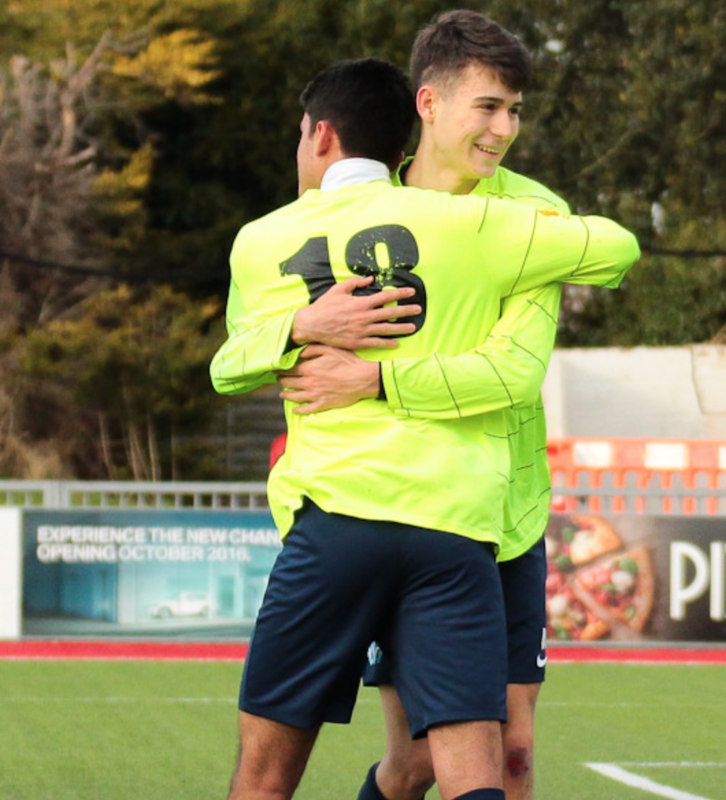 Isaac Vela also started on the right wing for his final game for Worthing College before returning to Mexico. Worthing College started the game in positive fashion and it was Vela who almost opened the scoring, striking the ball just the wrong side of the post. Merrist Wood were pressurising the Worthing College back line with a number of set pieces, however keeper Jack Spence De Boer was extremely confident in clearing his lines and coming for crosses. Despite this it was Worthing College who took the lead from a corner. An outstanding Dean Sherwood delivery was headed back across the goal by Baker, who found Vela to strike home. 1-0 Worthing College. A great moment for Isaac. Callum Chalmers and Tobi Minter were looking to create openings for themselves and were a constant threat to the Merrist Wood backline, however at the half the score remained 1-0 to the hosts. The focus at half time was to improve in possession and be more clinical when given the chance. Worthing College again started on the front foot, but needed to be weary of the quarter back style diagonal pass from the opposition, which at times was highly effective. To their credit full backs Parsons and Lewis Burgess were showing great positioning and cutting out any threat that came their way. The midfield three of Perrin, Sherwood and skipper Giuseppe Gaute-Lammi were combining really well to move the ball at pace and in both directions. This then led to a number of chances for Worthing College. Gaute-Lammi’s great strike was tipped round the post, Sherwood struck the bar and Alex Webber was denied firstly by the Merrist Wood keeper from a free kick and secondly from another Sherwood delivery he thundered the ball against the cross bar. Despite the number of chances Worthing College were not being clinical and Merrist Wood had a clear chance to equalise. The number 9 was put through, however Spence-De Boer made a superb save after making himself big. Merrist Wood continued to press from a number of set pieces, but again the Worthing College defence stood tall and brave to pick up the three points and do the double in the league over the team that currently stands top of the league.